Sorry, anyone who purchased Touch within the last three months. The dream of a $300 Oculus Rift might not come to fruition today, but it’s at least moving one step closer. 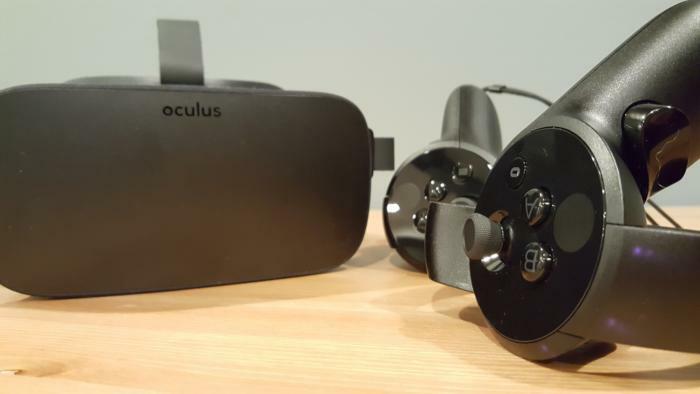 Announced at GDC on Wednesday, Oculus is dropping the price of the Rift VR headset to $499, the price of the add-on Touch controllers to $99, and the price of the two together to $599. A price drop is a coup of sorts for Oculus. HTC introduced financing programs for the Vive earlier this week, but it’s still the same $799 price it launched at last April. Buying Rift, Touch, and an additional add-on sensor for 360-degree tracking and/or room scale brings you up to feature-parity (at least on paper) for about $140 cheaper. On the other hand, the price drop may be a direct result of sluggish Rift sales—last we heard, the Vive was outselling the Rift 2-to-1, and anecdotally I’m seeing a much bigger Vive presence among developers at GDC than Rift. A Vive discount might come eventually, but there’s little incentive for HTC and Valve to do so while the Vive is still selling. The news also comes on the same day that Microsoft announced it would start shipping the first low-cost Windows Mixed Reality headset to a select group of developers. Oculus slashing the price so soon after launch is a rough deal for the early adopters, though—especially Touch adopters. The Touch controllers just went on sale in December, after nearly a year of build-up and anticipation. To cut the price in half not even three months later, and make sure to point out that Touch is basically a free add-on now? Ouch. Oh well. Perils of early adoption, I guess. And to be honest, “Touch included for free” is really where Oculus’s consumer Rift should’ve started. The pack-in Xbox One controller was never more than a stopgap solution, and I don’t think it has a long future in VR. Touch is a must-own for Rift users, and at $99 it’s now relatively affordable. We’ll keep you updated if HTC fires back with its own price drop, though the financing plan is almost undoubtedly the big Vive move for the week. And as I said: It’s hard to blame HTC and Valve for sticking to $799 when the Vive’s so handily beating its main competition.